Everyone knows that Canada is a magical place. We have the best hockey teams, amazing food, and the Canadian Rockies. Enough said. In fact, there are so many awesome things to do here, it can be hard to pick just one. Don’t worry—we’ve done it for you. 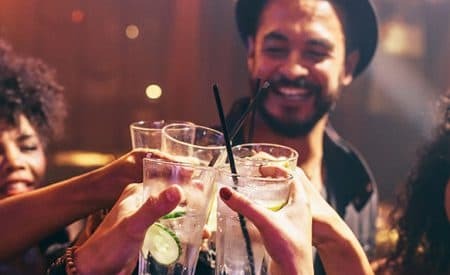 And since we know you’ve probably heard enough about Niagara Falls and where to find the best poutine, we dug a little deeper to find the truly unique things that make our country so special. Read on. You’re wandering in the Rocky Mountains, surrounded by majestic peaks and glacial lakes carved millions of years ago. You may think you’re in Banff, but it’s actually even better. 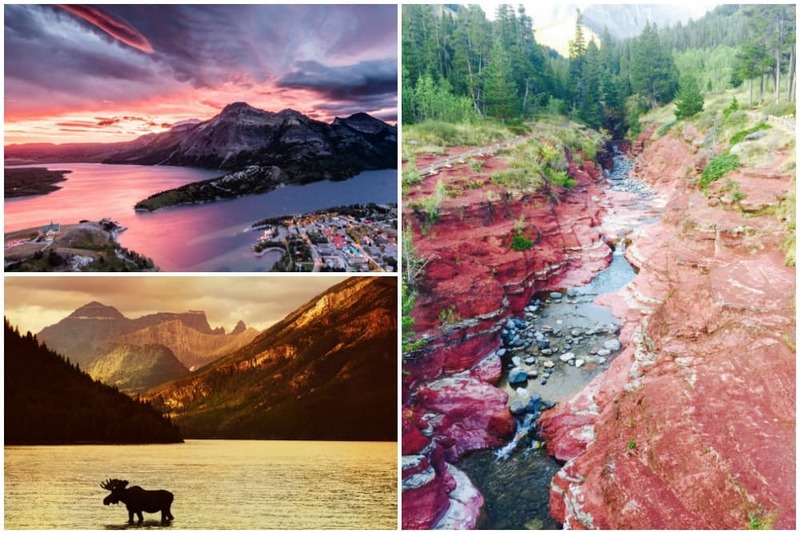 Waterton Lakes National Park is nestled in the southwest corner of Alberta, on the border of Montana—and here you’ll find all the beauty of Banff, with far fewer people messing up your photo ops. In the city: If you’re looking for things to do in Calgary, a tour of Big Rock Brewery by one of their trained “beerologists” is a good start—and the tasting flight doesn’t hurt, either. If there’s one province that’s going to give you major FOMO, it’s BC. The Rockies! Vancouver! Tons of silly-looking moose! 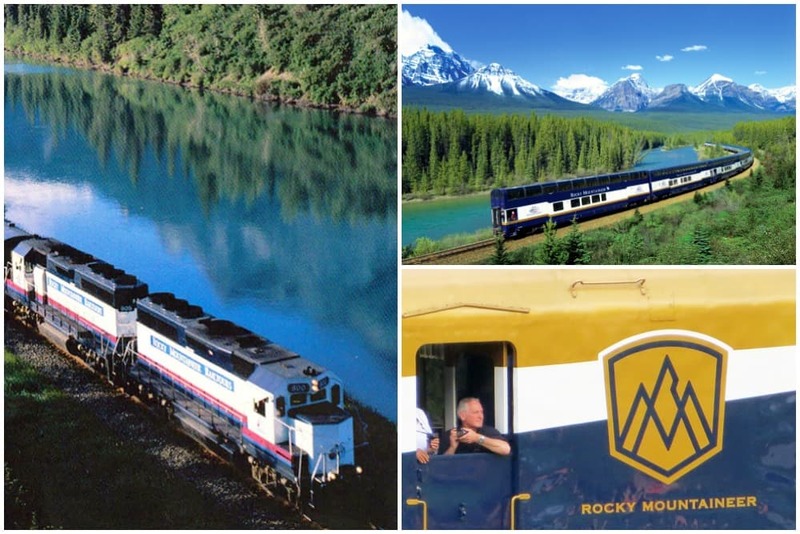 Luckily, there’s no need to pick just one place to visit in British Columbia when you’ve got the Rocky Mountaineer. Marvel at Pyramid Falls, descend into the Rocky Mountain Trench, or be one of the few to experience the Spiral Tunnels first-hand … all while sipping cocktails in your comfy train car. In the city: Get multicultural on Vancouver’s Commercial Drive. 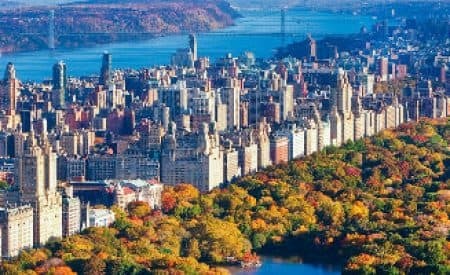 Some favs: Cuban cocktails at Havana Restaurant and custom Italian sandwiches at La Grotta del Formaggio. Ever heard of Josiah Flintabbatey Flonatin? 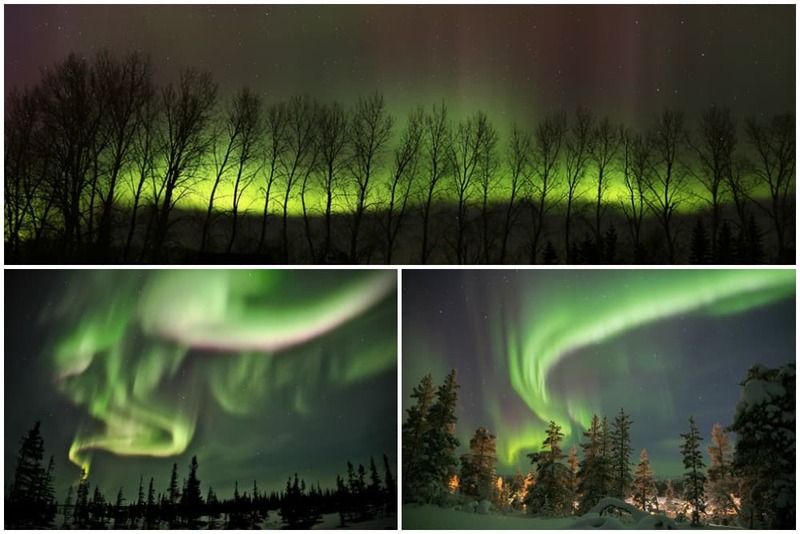 The city of Flin Flon is named after this character from a 1905 sci-fi book, and it’s appropriate—the Northern Lights you can see from here are out of this world! Get cozy at a lakeside lodge and snowshoe your way to nightly viewings in the clear, starry skies. 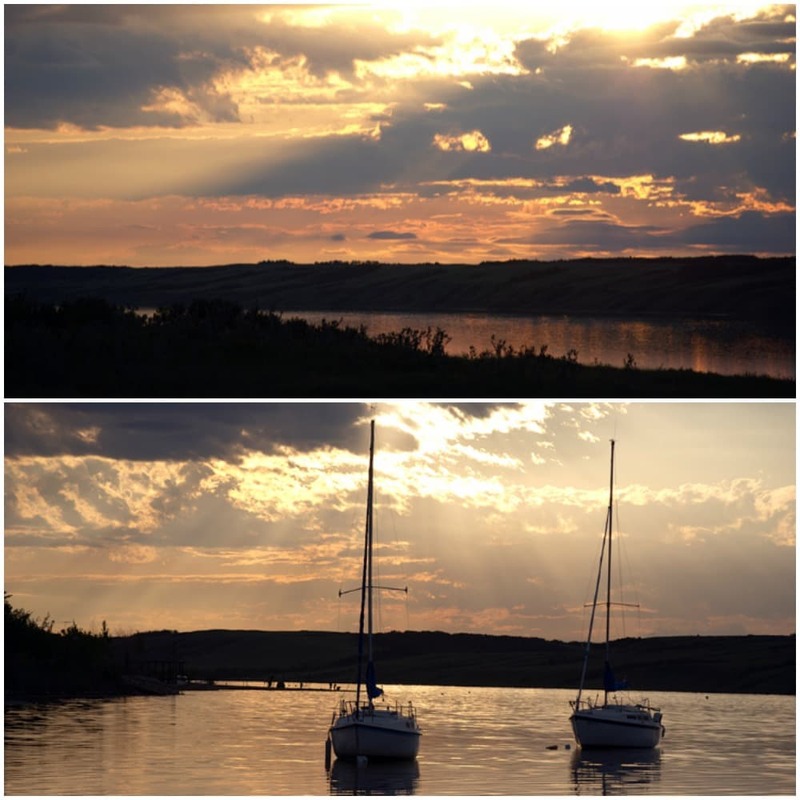 In the city: Live like a local in Winnipeg. Head to Bridge Drive-In and order up “the Goog.” It’s a combination of blueberry shake and banana split. Yum! 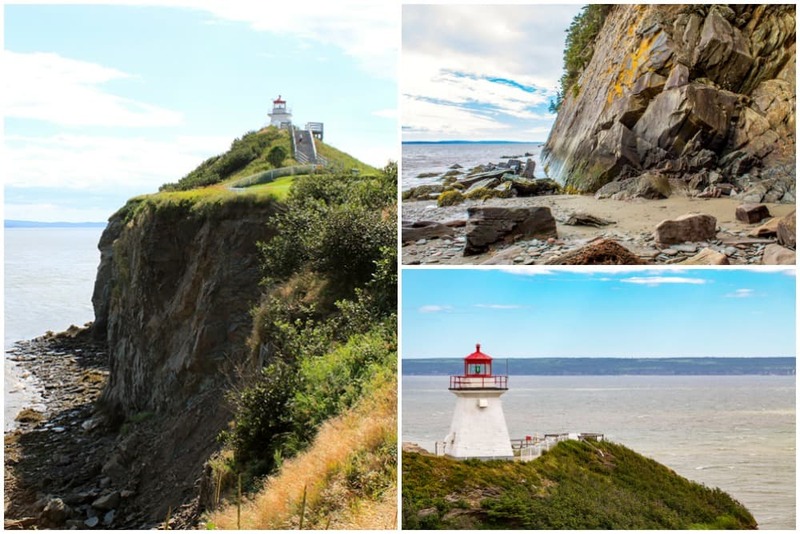 You’ll be “swept away” by the Bay of Fundy, home of the world’s highest tides. But you haven’t truly lived until you’ve rappelled down the cliffs of Cape Enrage. Explore the critters and shells of the beach, which is covered by up to 16 metres of ocean at high tide. Oh yeah, you can also zoom across the peninsula on a zipline and explore the oldest lighthouse in New Brunswick. What are you waiting for? In the city: Snap some pics at the Moncton Tidal Bore, where the bay’s huge tides cause the Petitcodiac River to reverse direction twice a day. Of all the things to do in Newfoundland, you might not have heard of this one. This province is home to the largest colony of Atlantic puffins in North America—and that’s a pretty adorable record to hold. 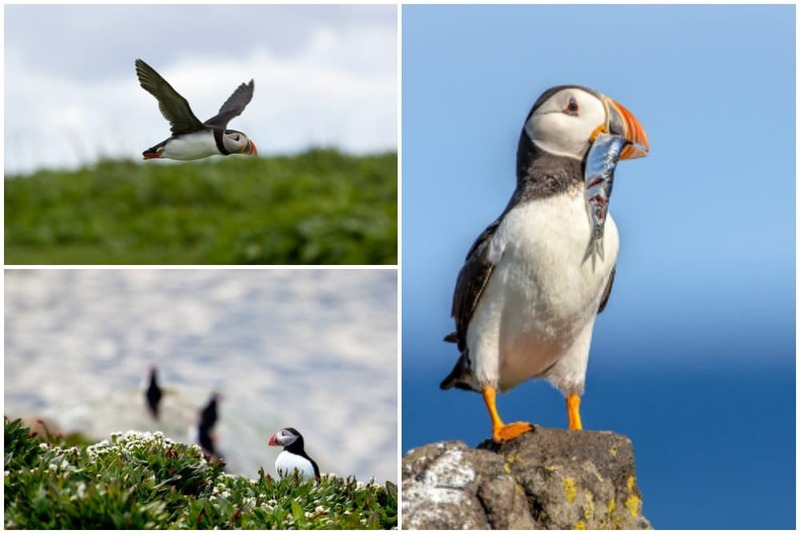 Book a stay in the town of Bay Bulls and hop on a boat with O’Brien’s Whale and Bird Tours for a trip to the puffins’ home in Witless Bay Ecological Reserve. In the city: St. John’s is known for its Irish heritage, so dig into fish and chips at Celtic Hearth, then head upstairs for a pint at the bar. 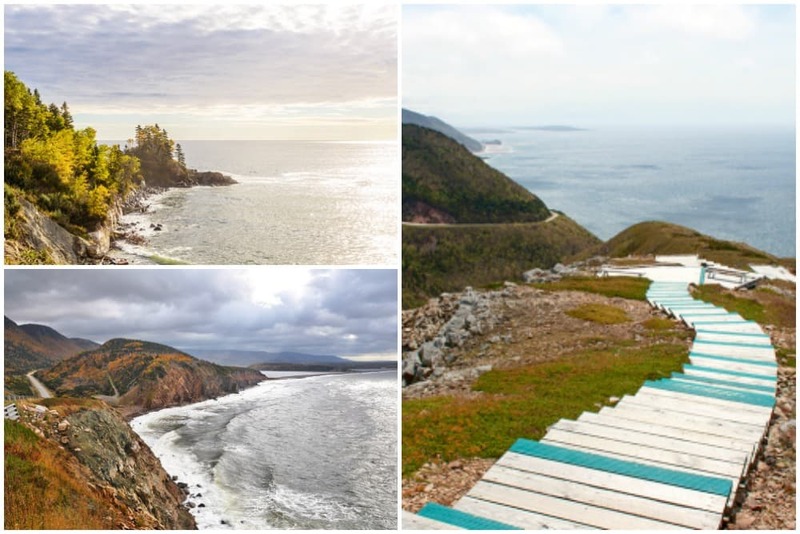 The Cabot Trail winds its way in a 300 km loop around all of Nova Scotia’s must-see spots. 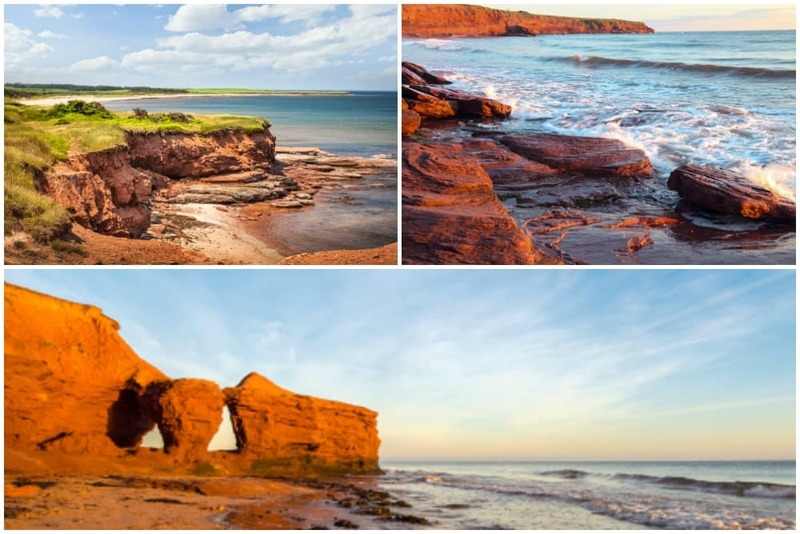 Find charming artisans in St. Ann’s Bay, authentic Celtic music in Margaree, and of course, the windswept landscapes of Cape Breton National Park. 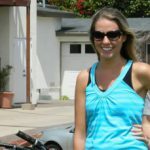 You could drive, but why not pedal instead? Freewheeling Adventures runs a five-day cycling experience for the truly intrepid explorer. In the city: Hunker down for ghost stories at The Five Fishermen in Halifax, a former funeral home that served as the morgue for the Titanic. Yikes! 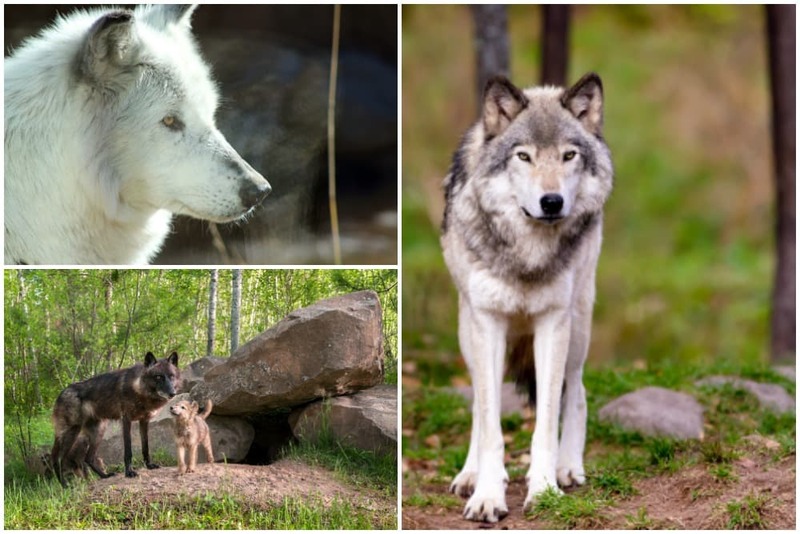 Alright, you can’t actually run with the wolves, but you can catch a one-of-a-kind glimpse into their wild world thanks to Haliburton Forest’s observation deck. The park also has dogsled tours, a canopy walk, an observatory, and more. Whatever you choose to do, we’re certain you’ve never seen nature quite like this. In the city: Take your future profile picture at the Vog Vault in Toronto, a gravity-defying illusion room in the back of Fluevog Shoes on Queen Street. In the city: If you’re wondering what to do in Charlottetown, the answer is easy: A plate of fresh lobster from Lobster on the Wharf is the perfect finish to your trip. We bet you didn’t know that visiting Charelvoix is one of the best things to do in Canada for foodies. It’s all about the three Cs: cheese, chocolate, and charcuterie. The Flavour Trail has over 40 local producers and restaurants: Try oyster mushrooms at Champignons Charlevoix and award-winning cheese at Maison Maurice Dufour. Wash it all down with a fourth C: cider from Ciderie Vergers Pedneault. In the city: Montréal is home to a must-do activity of its own: Down a pint at Canada’s oldest bar, L’Auberge Saint-Gabriel. Little Manitou Lake is three times saltier than the ocean—and it’s the only lake of its kind in the western hemisphere. These waters may or may not have healing properties, but one thing is certain: floating weightlessly in “Canada’s Dead Sea” has to be experienced to be believed. Jump in for free, or buy a day pass from Manitou Springs Resort and Mineral Spa and get totally pampered. In the city: The Crazy Cactus in Saskatoon is “Home of the Gringo”—it’s Sol beer, tequila, triple sec, and lime. Let’s just say you’ll be singing along to Bon Jovi before you know it. Grab a travel buddy and your bucket list—it’s time to check off some new spots. These nine are a good start, but they’ll probably just fuel your wanderlust. 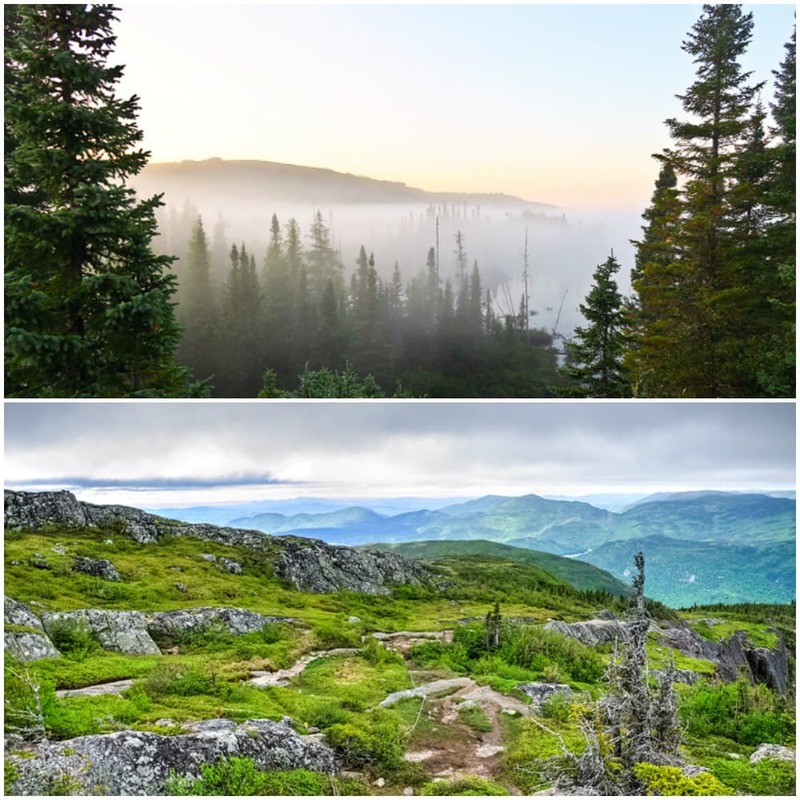 Luckily, Canada has plenty of beauty and adventure, just around every corner. Glad to see Haliburton Forest mentioned for Ontario!! Just so people are aware, my husband and I were out this past Saturday in Saskatoon Saskatchewan at the crazy cactus, I was attacked by two males and had my lip slept open. When I requested a first aid kit I was rudely denied. I was in need of medical assistance and the owner stood there pretty much laughing. It’s a dirty place that gaurenteed would not pass a health food and safety inspection. Save your time and money and make a gringo from home!